How frustrating is it when you lay down for a good night’s rest, but it never comes? You lie awake, counting sheep or thinking about colors or whatever it is your supposed to do, but nothing works. Or you were sleeping perfectly well, but then your baby karate kicked you in the bladder and now you’re tossing and turning trying to get comfortable because you JUST. CAN’T. SLEEP. Amiright? Well then, here are a few simple tips to help you get the good nights’ rest you need. #1) TURN OFF YOUR SCREENS! There is lots and lots of research to back this up (http://www.huffingtonpost.com/2014/12/23/reading-before-bed_n_6372828.html and http://www.scientificamerican.com/article/bright-screens-could-delay-bedtime/ and http://www.webmd.com/sleep-disorders/features/power-down-better-sleep). This means put down the smartphone, turn off the TV, get off of Facebook at least 30 mins before you go to bed. And leave the electronics outside of the bedroom. Want to read before bed? A good old, fashioned paper book or magazine is your best bet. 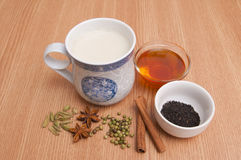 Nighty-Night Cap: Heat 1 cup whole milk (organic and raw is best), a pinch each of cinnamon and cardamom, and ½ teaspoon of ghee in a pan until warm. Put 1 teaspoon of honey and a pinch of fresh ground nutmeg in the bottom of a cup. Pour warm milk mixture over honey and nutmeg. Stir and enjoy! Try these three tips, and tell me in the comments below how it went. ‘Night ‘night everyone! PS Like these tips? Want to learn more about how to have a healthier pregnancy and an optimal birth? Join my interactive, on-line childbirth education class. Learn more here. Spaces are limited so register today to get your spot! Want to keep up on all the happenings at Mana Midwifery? Sign-up for my email newsletter and get your free guide to optimizing your pregnancy! Sign-up here. Previous PostPrevious Keep it in your… pelvic floor! 3 simple moves for pelvic floor health. Next PostNext You had your baby where?!?! A look at choices in childbirth setting.